How do we plan together as a country for the impact of our ageing population? The combination of a lower birth rate and people enjoying longer lives means that the structure of our population is in the middle of a massive shift. In 20 years’ time there will be almost the same number of people aged under 17 in our population (around one million). But in 20 years’ time there will be nearly twice as many older people (1.3 million) as there are now. Minister for Seniors Hon Tracey Martin is asking for public feedback and ideas about how we as a country should develop a new strategy to respond to population ageing. The current Positive Ageing Strategy (PAS) dates back to 2001 and it is time to look again at what the current strategy has achieved and what is needed for the next 15 – 20 years. How Successful has the Positive Ageing Strategy Been? Before we look forward to the coming years, it is good to ask just what impact the current PAS has had? The most recent report on progress of the PAS was published in April 2015. The report concluded “overall NZ is progressing well” against the 10 goals set out in the 2001 PAS. Yet the detail of the report shows weaknesses in the strategy and a lack of progress towards the goals in this crucial time. The 2015 report noted the growing number of older people living in good health, who have valuable skills and experience and make a significant contribution to the economy and wider society. The report noted differing levels of priority between local councils to the issues for older people. It also reported that not enough central government agencies are actively looking at the implications of an ageing population for their policies and services. Health services through District Health Boards (DHBs) are the dominant area where responses are happening with a focus on health and wellbeing, as well as preventative programmes. Other areas of progress the report recorded are that older people are staying in the workforce longer, but workplaces aren’t planning for this. Older people are also a growing consumer group which has its own implications for our economy, which the Business of Ageing reports published by the Office for Senior Citizens have highlighted. When looking at the level of understanding between generations, the 2015 report leaves you wondering has enough been done to promote positive attitudes? The Age-Friendly Cities initiatives do not appear to have reached many cities and towns in this country. The 2001 PAS has 10 goals, but the major weakness of the Strategy is a lack of attention to measuring progress and making government accountable for progress towards achieving the goals. In the table below, there is some commentary on progress on some of the goals from the current PAS that is helpful to use as a basis for approaching a new Strategy. Given the magnitude of the social change that population ageing is bringing to our country, the new Strategy must strive to achieve far more than the 2001 PAS has been able to. 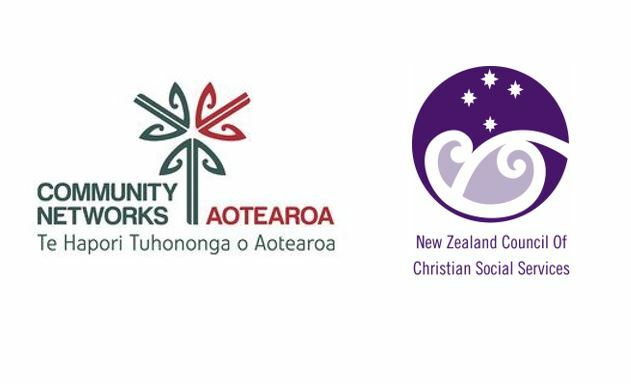 NZCCSS is in the process of preparing comment for the new PAS and our thinking will be guided by the research and feedback we receive from the communities and organisations our social services work with throughout the country. 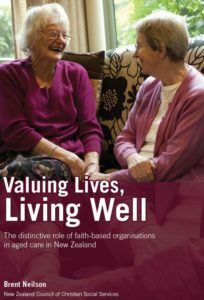 The Valuing Lives research project , Satya Brink’s work asking ‘Is NZ a Good Place to Age?’ and the Working Together report looking at responding to dementia are some of the insights that will help inform a new strategy. PAS must be more measurable and accountable: The current PAS lacks impact because it is not anchored to any specific goals and outcomes that government is accountable for. The option to require all government departments and local authorities to develop and commit to a plan and resourcing for implementation under the PAS would be one way for it to have more impact. Wellbeing and Positive Ageing: the theme of wellbeing is the overarching frame for the current government’s approach to social policy, so it will be very important for the new PAS to set goals to enhance wellbeing and design ways to monitor and report on progress. This will need to connect with Treasury and StatsNZ work. StatsNZ General Social Survey reports older people generally experience high levels of life satisfaction and it must be a goal to ensure that is maintained and improved where possible. Te Tiriti o Waitangi: The goals of the new PAS will have to be shaped more strongly by the Crown’s commitment to the Treaty and the needs and aspirations of Māori. The ‘mainstream’ of society and service provision need to change further and be shaped by the insights of Te Ao Māori that include a deep innate esteem for elders as carriers of culture and wisdom. Spirituality and ageing: The role that spirituality plays in supporting positive ageing will need to be recognised and supported. Traditional forms of spirituality expressed through the established faith traditions as well as the modern trends for more unstructured ways of seeking spiritual sustenance need more attention. 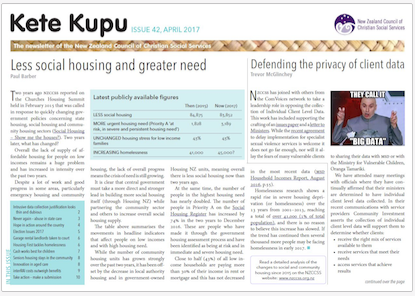 Housing for older people: NZCCSS members provide a significant part of the current affordable housing for older people in both rental and retirement village settings and much more is needed. The new PAS will need a genuine focus on making current successful models more widely available as well as encouraging innovations such as intergenerational living. Cultural Diversity: Health and social services models in New Zealand remain too heavily defined by the dominant population grouping of older Pakeha. 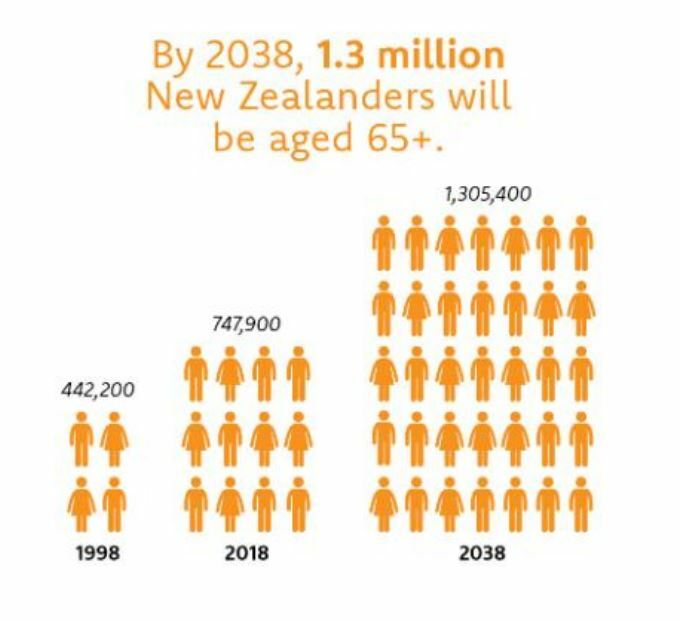 Our population is already changing and more rapid progress is needed to achieve a better balance and respond to the very rapid growth of older people of Asian ethnicities as well as Pacific and Māori elders. Workforce is changing: NZCCSS social services employ thousands of people and thousands of more people volunteer. Our own workforce is on average older than the wider NZ workforce which means we are trail blazers in learning what is needed to succeed with an ageing workforce. Comment is due by 24th August. Find out more on the Super Seniors website .